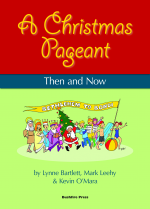 Songs from ‘A Christmas Pageant’, a pageant-style musical by Bartlett-Leehy-O’Mara. Available for instant download are 12 known Carols in SINGABLE keys! You can purchase all 15 songs for a discounted rate or select just the songs you want. Perfect for practicing and performing at Community Christmas Carols events, end of year concerts and family get togethers. Each song purchased comes with 2 tracks: with children singing for practicing, and just the backing track for performance purposes.